This has been one of the most interesting looks into a game I've ever had. There's a lot of content here, it's beautiful. 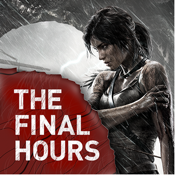 If you a fanatic of tomb raider this is a must have app. Loved reading about how this game came to be. The Best App on the iTunes Store! We waited for so long for a Tomb Raider app. and we got this one. This is more than just a "making of" or "behind the scenes" videos gathered in one app. Here you delve into the creative process behind the latest Tomb Raider, watch videos of never-before-scene scrapped and deleted ideas and scenes from the latest Tomb Raider title, browse through panoramic imagery, rotate 3D models, answer polls, read commentary from the team about each and every part of the development of Tomb Raider. In addition to that, you get to view over 30 concept artworks (in addition to the many that you'll find within the pages of the app itself. You will not regret it. It's worth every single cent you spend on it and it's definitely worth more. This is totally the best app on the iTunes store, let alone the best thing a Tomb Raider fan can ever hope to have on a his/her own iPad. Buy, enjoy and share with friends. I really like reading about how games like Tomb Raider were made. The behind the scenes stuff is interesting to watch, and almost makes me appreciate the final game more. The Final Hours apps are really well put together and well written. However, I've found that most of the "prototype" and "never before seen" videos in this Tomb Raider edition fail to load, even with a working internet connection. Very disappointing! If I were able to view the videos, my rating would easily be five stars.